Daffy Duck was a Saturday morning favorite and the way Chuck Jones portrayed him left me laughing and remembering scenes vividly in my head. 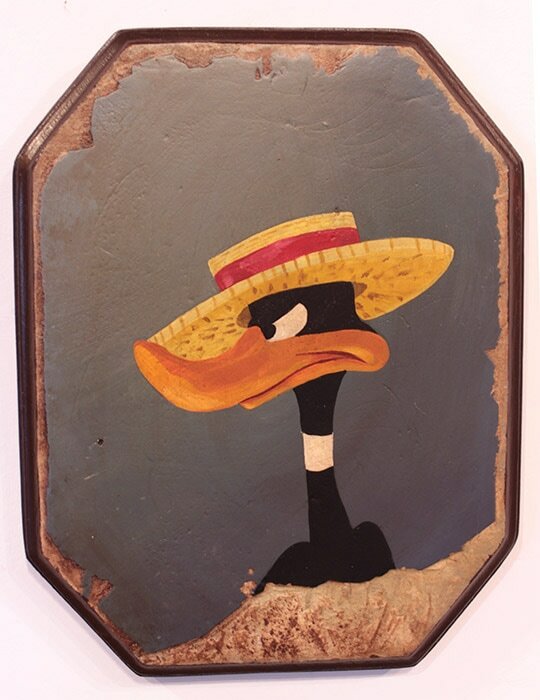 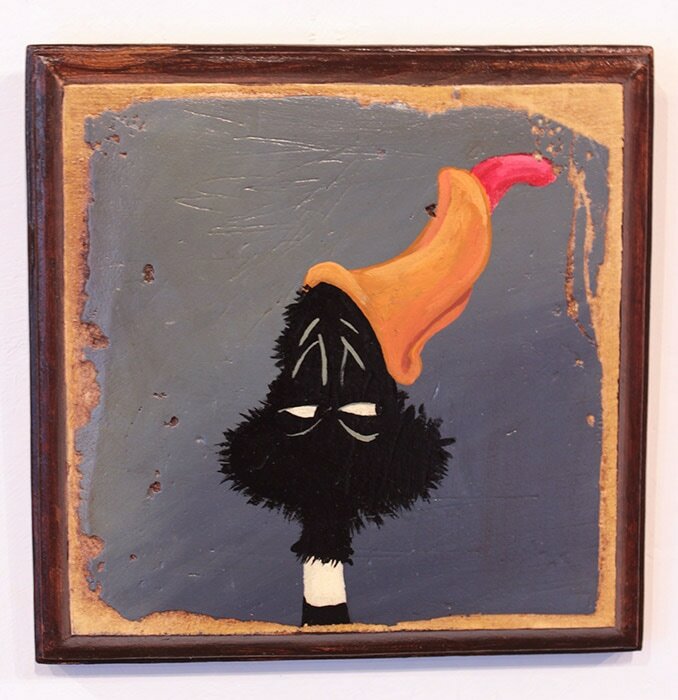 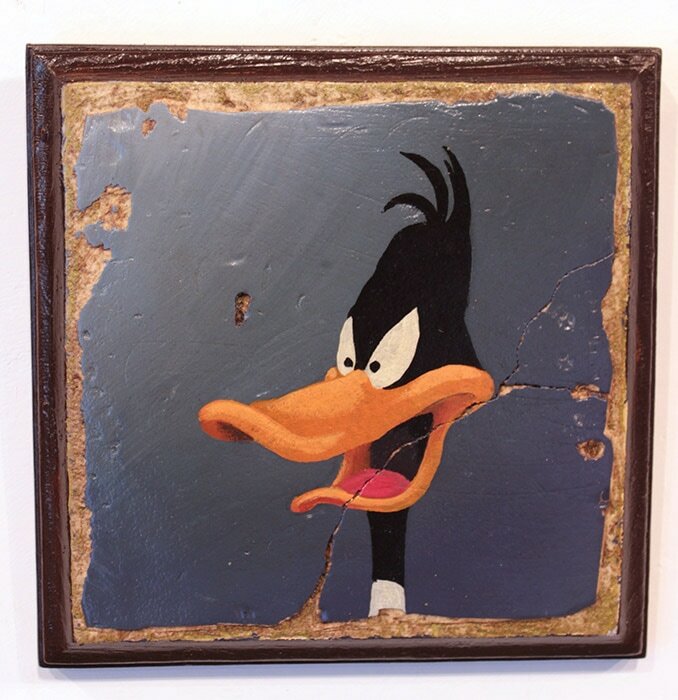 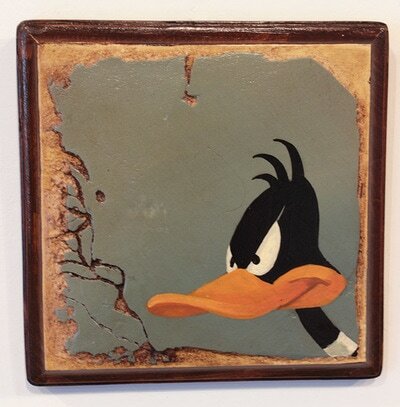 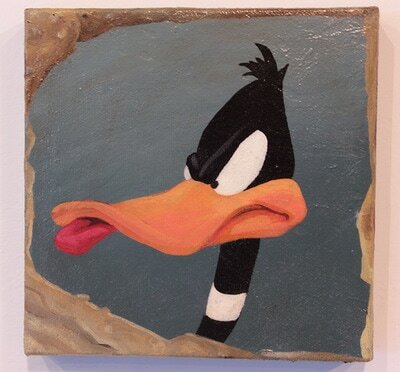 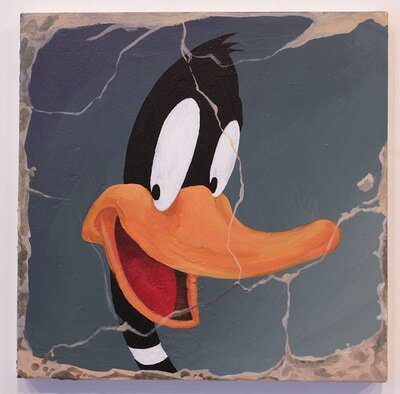 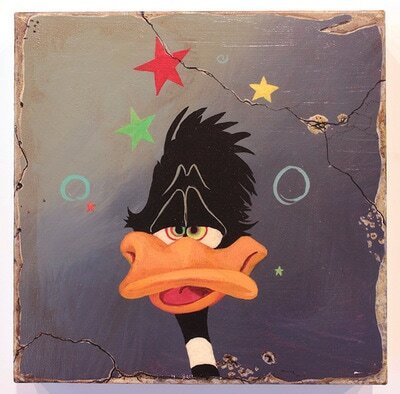 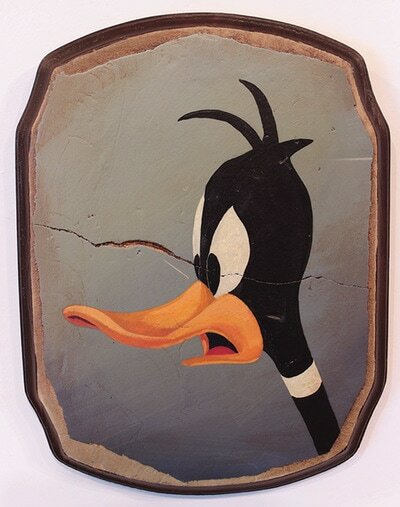 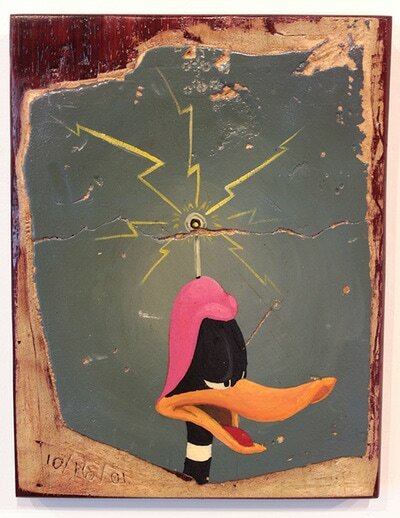 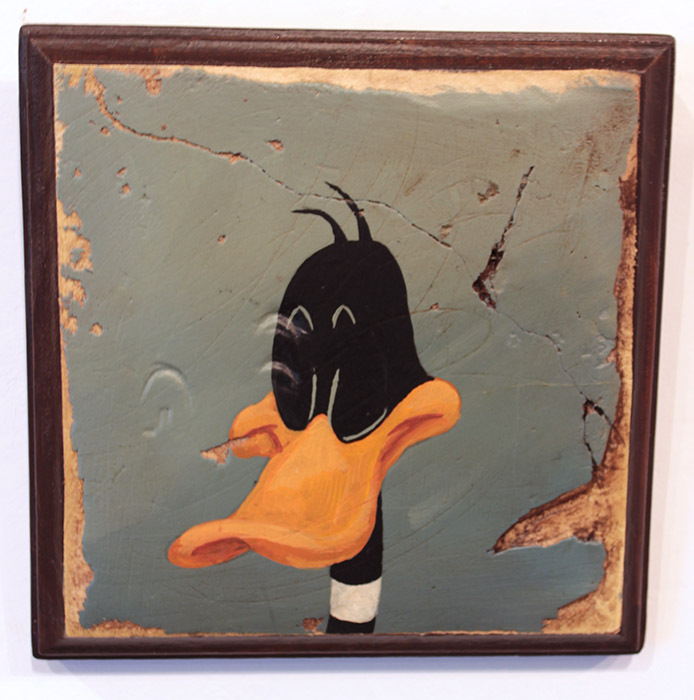 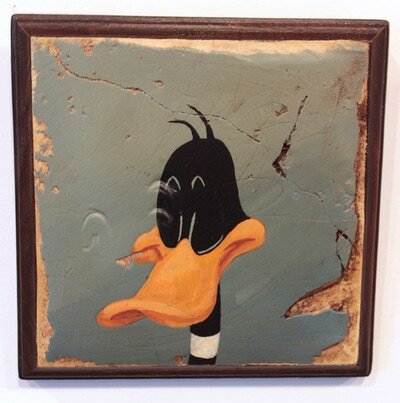 I painted Daffy as if he was part of a wall mural that had eroded with age. 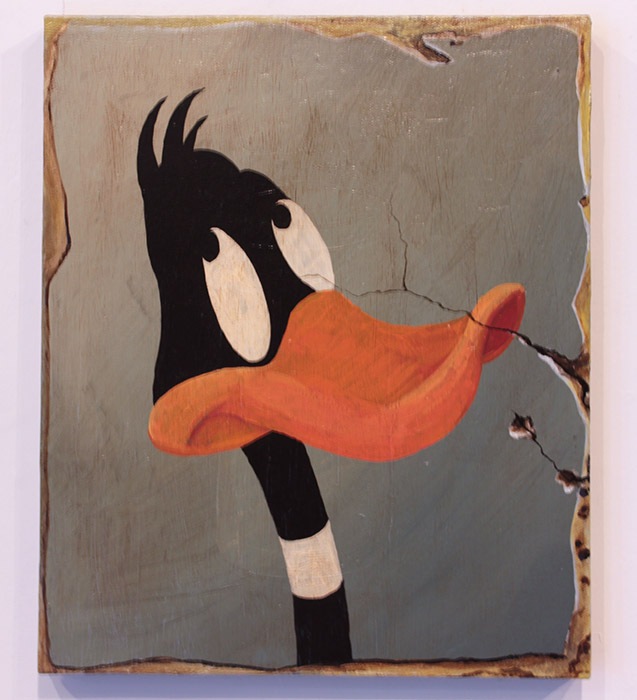 I felt that Daffy should be view as an icon and not just a form of cheap entertainment.